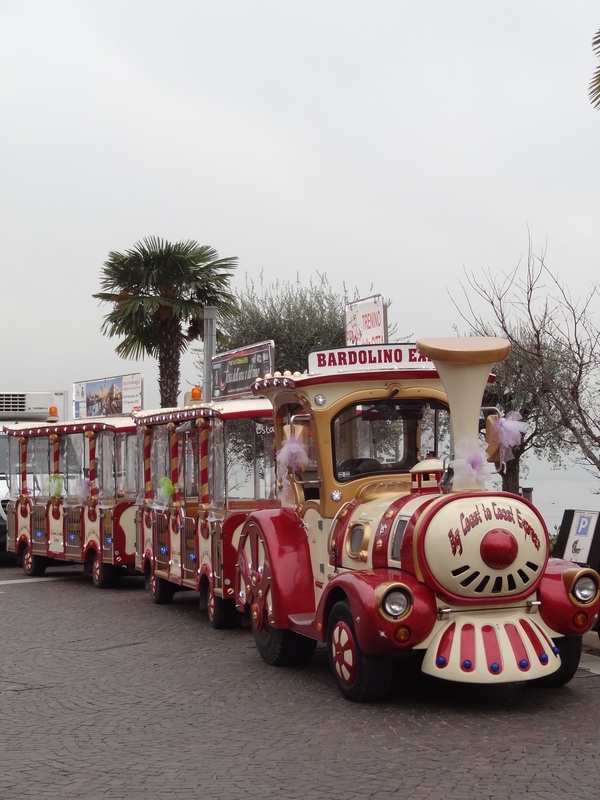 Emiglia Romagna…Italy at its best! The past year went by so quickly, it seems like yesterday when I wrote about our Provence trip during the Holiday Break. And here we go again, a year later. It has become a tradition by now, to travel somewhere nice and unusual after Christmas and spend New Year’s abroad. That has nothing to do with not wanting to spend that evening with friends or families, it is “us time” which we cherish. 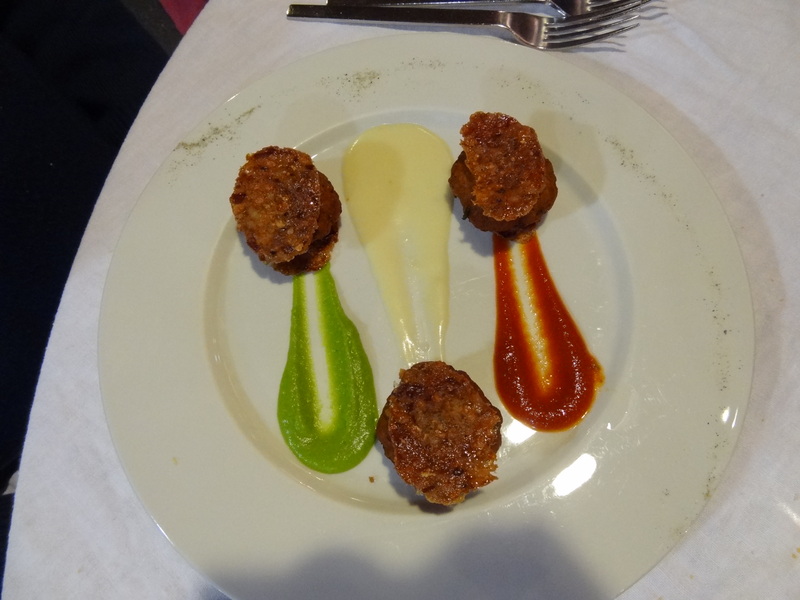 This time, the choice was between Dresden and surroundings, or, tataaaa, Italy…well, guess who won the battle?! I wanted to show Andy my Emilia Romagna, where Mummy grew up before leaving Italy at the age of 17. We had no concrete plans, just a rough itinerary. We packed our suitcase, making sure there is enough space in the trunck of the car for the goodies we certainly would buy, and off we went. 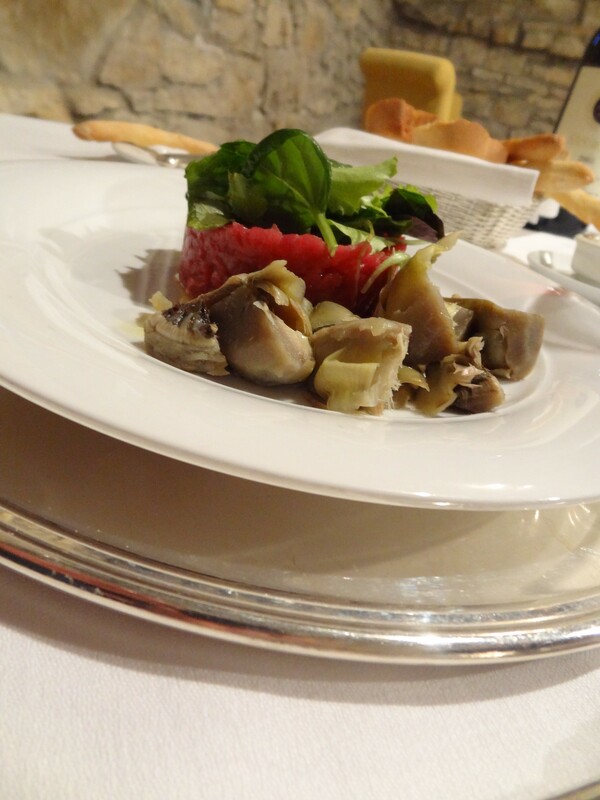 We decided to spend the first two nights at the Lago di Garda and start the trip with a Gourmet- and SPA experience. The roads were empty and the big snow storm 24hrs away, so we made it perfectly in time to the Villa Cordevigo in Cavaion Veronese. A fantastic Villa, restructured into a hotel with a small but wonderful SPA and a Michelin Star Restaurant. Upon arrival, we were spoiled to a very tasty glass of their own Spumante and later on enjoyed some relaxing moments at the SPA. Life can be so good! The dinner was delicious too, I just let the pictures speak! 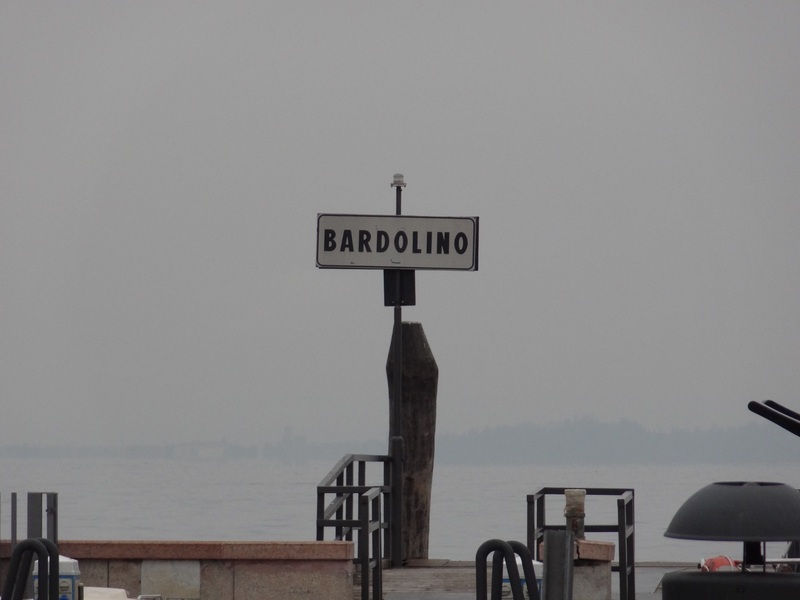 The next day, we made a little tour to Bardolino and as it was really ice cold, we decided to do a stop in a shopping mall. Not even an hour later, when we got out, we were caught by surprise, it had started to snow heavily. The hotel now looked even nicer with the entire court all snowed in, like a dream! We enjoyed a massage and a “dolce far niente” afternoon before having another dinner at the Restaurant. Maybe, we are just too spoiled, it really was delicious food, but we were a wee bit disappointed about the preparation and variety of the dishes. But what I really liked was the possibility to taste their own wines by glass and so we discovered a little treasure. The next day, after a nice breakfast and buying some Spumante and Vino, we continued on to Verona through the Valpolicella. The sky was opening up and by the time we got there, the sun was out again. But it was really cold, so we had to go from coffee shop to coffee shop and only took a quick glance at the Arena and the other sights. Verona? 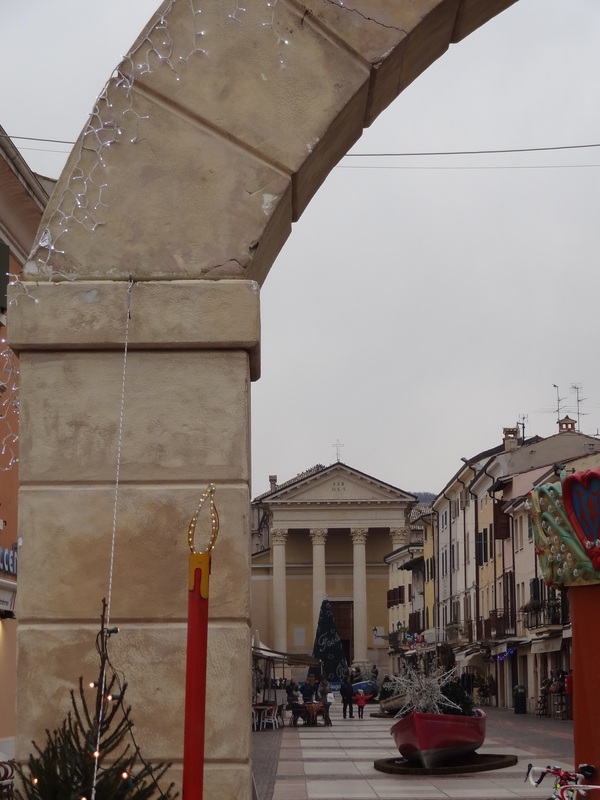 Yes, home of Famiglie Capulet and Montague…better known are their kids Giulietta and Romeo…so did we see that famous balcony which in reality is NOT part of the story? Yes, we even had a Suite looking onto that balcony and the court. It was a little gem behind old and ugly walls, a hotel called Le Suite di Giulietta… During the day, it is quite busy on and below the balcony, but when night settles and the court closes, the balcony did “belong” just to us. We took a stroll through the various Christmas markets and were offered to taste some olives and different varieties of Taralli. Of course we could not resist and they tasted so yummy, we had to buy them for taking them home. After a visit to one of the castles outside Verona with a fantastic view of the town, we drove along the countryside to Ferrara. We had no idea what to expect of that town and were positively surprised. The old town is car-free and we took a stroll through the various narrow streets. We ended up in front of the Castello and another Christmas market. As it was time for a bite, we queued in front of a booth that sold Piadina in different varieties…ahhh, nobody could ever make a better Piada than my Nonna, that is for sure, but this one came extremely close to it and I felt taken back in time for a moment. To the times, we spent as a whole family in Florence in Summer enjoying quality time and delicious food! I feel really thankful for those careless days! 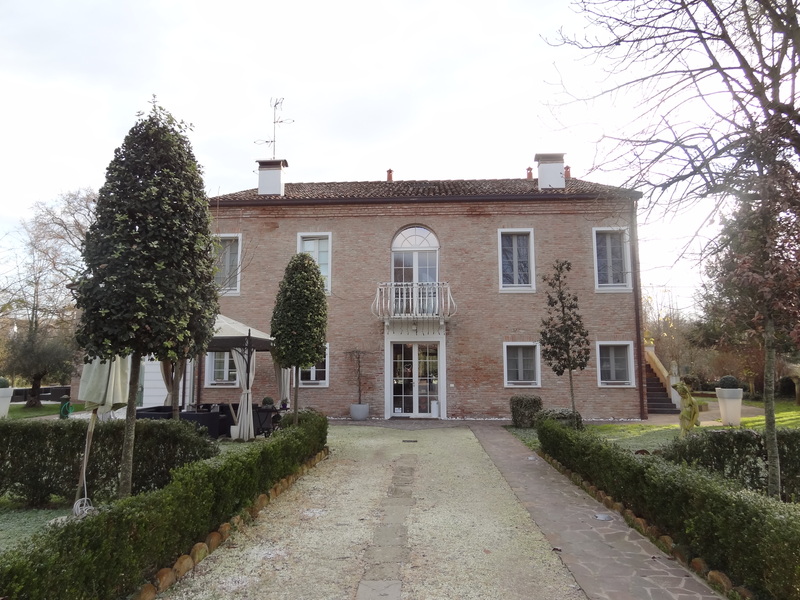 We stayed at a very nice place in Ferrara, called la Villa Horti della Fasanara situated outside of the town in a wonderful park facing the city wall. We had a great room and the entire Villa is very stylish. 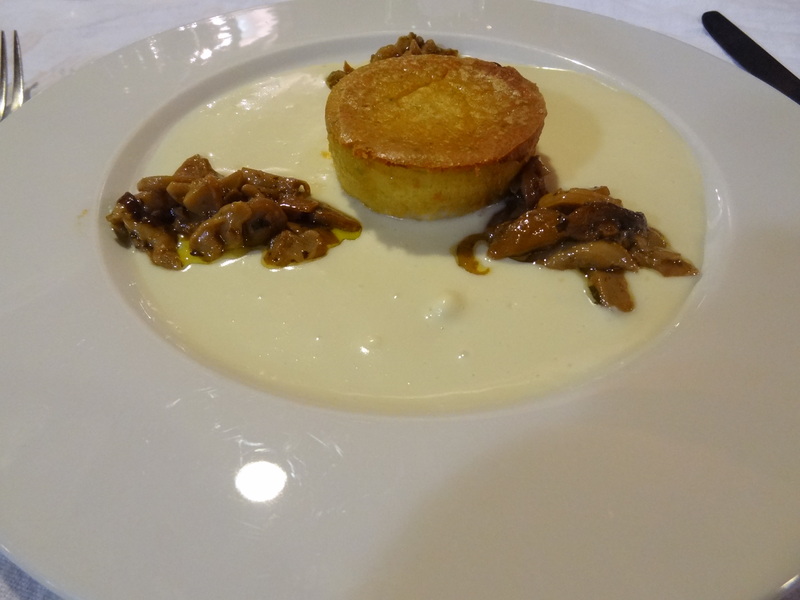 That evening, we treated ourselves to another great dinner at the Ristorante Quel fantastico giovedí. Funny name, agree! We were greeted like old friends and had a wonderful time, the food was fantastic and the wine was…okay. As much as in my Emilia they know how to cook delicious meals, as little do they know about making really good wines. They have some gems, but mainly, their wine is not what I would call high quality. One thing you have to accept in Italy is the fact that breakfast is not that important for them and you will rarely find sumptouos buffets in small hotels, they tend to offer a lot of different cakes and tarts rather than salty things or a continental breakfast. But, their coffees are always very good and strong! So, after a cappuccino and a bit of tart we left the Villa and headed to Bologna. All I knew so far from the city was the railway station as it was the one station we would always pass when going to Florence. Other than that, I knew nothing about it. It was another surprise to be honest, I expected a soulless city but its old town is very cute. First, we took a stroll through the Mercato delle Erbe, a covered fruit, veggies, meat and fish market at Via Ugo Bassi. Then we continued on to the old part of Bologna and discovered the food streets, oh my god! It was paradise times ten for us! 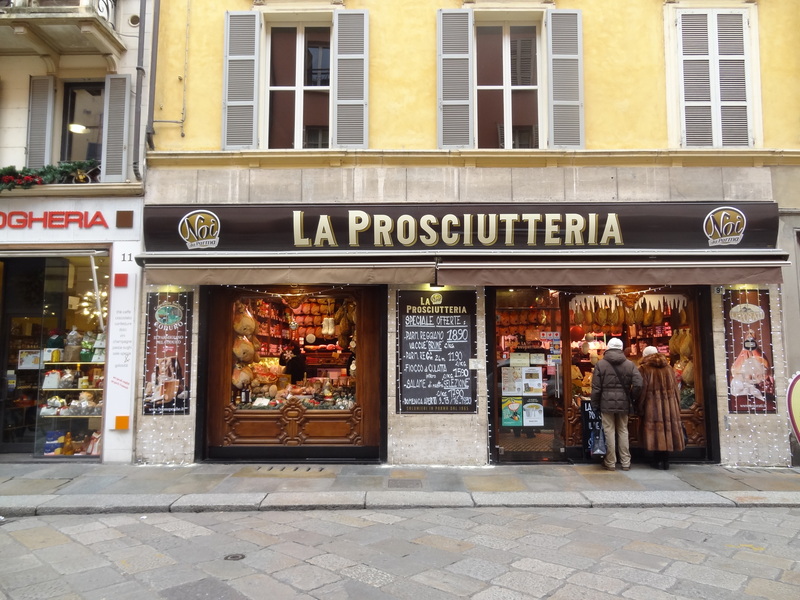 There are countless shops selling Pasta, Meat, Salumi, Prosciutto, Bread, Cheese, Wine and much more. Some of the shops are so retro, you feel like being sent back in time! We did buy a few goodies, we could definitely not resist! 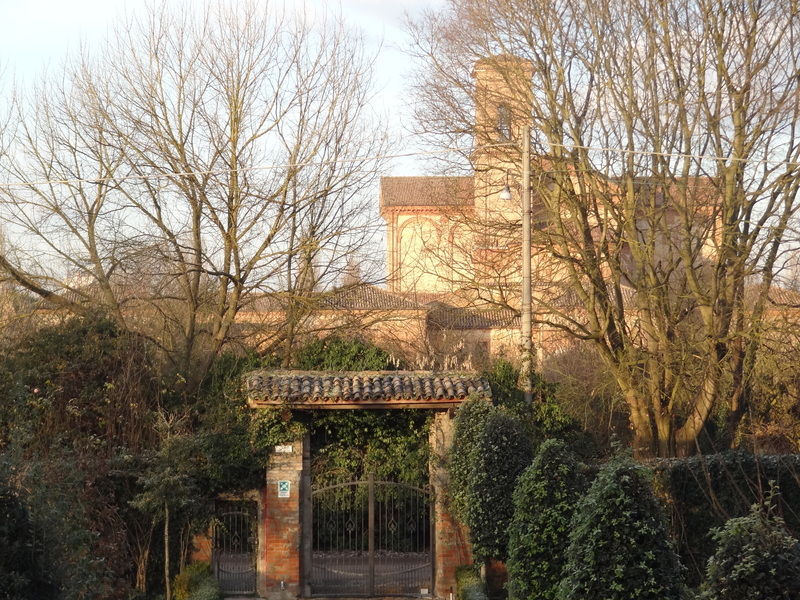 In the afternoon, we continued our trip towards Modena, the city of Aceto Balsamico. We drove into the hillside of the Emilia to a place called Levizzano di Castelvetro, which reminded us a lot of the landscape of the Piemonte. We had booked a room at the Agriturismo Opera 02. This is a very modern building in the middle of old traditional farms, set perfectly on top of vineyards. When we opened the front door we were “greeted” with a heavy balsamic vinegar smell. But also with a heartfelt “benvenuti” from the staff who made us feel at home right from the beginning. The extraordinary thing of this agriturismo is that you pass along hundreds of vinegar barrels in order to get to your room, and all of it in total darkness! Although it was already 3pm and the kitchen closed, the owner did offer us to sit in their restaurant and have lunch. This is really what I call outstanding hospitality. We had pasta (Andy) and salad (me), not too much as we wanted to enjoy dinner there too. 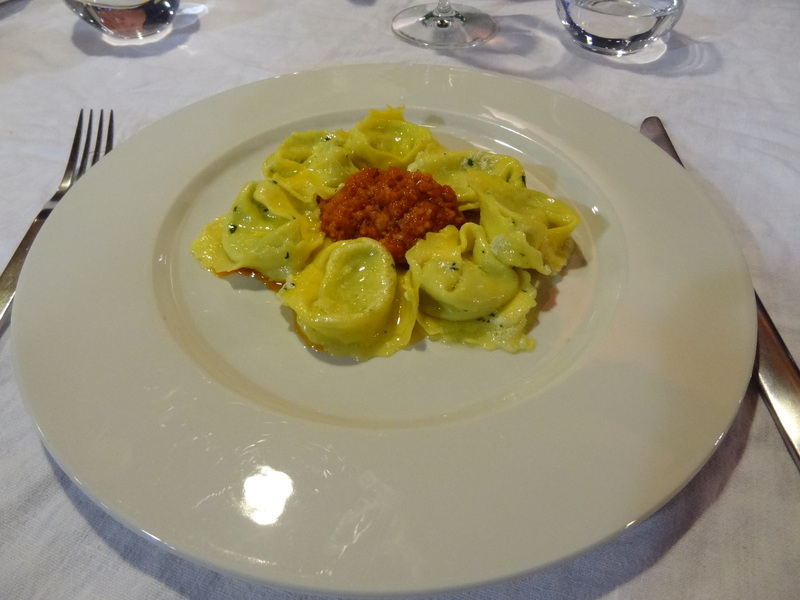 And it was worth not eating too much for lunch, they served us a delicious dinner, we really were spoiled. Of course, many of their dishes where pimped with their own vinegar, and it tasted amazingly intense and really made a difference. And of course, I am now a proud owner of three different bottles of Opera 02 balsamic vinegars. These three bottles did cost more than the rate for the stay! Ooppss.. It was December 31st the next day and we had booked two nights in a resort, but did not feel like joining them for a 7 course dinner with music and more. So here was our plan: either we find a restaurant or we have our own dinner party in the room. We called a few Restaurants around the resort but all were sold out. So we decided to go shopping some delicious food…and what city would suit our needs any better than …. Parma? After that fun shopping tour we drove to the Resort along the Val Trebbia, a beautiful spot on earth worth a visit. It is located south of Piacenza, towards Genova, the river Trebbia runs through it and on both sides there are hills with vineyards and pictoresque villages.The Relais Colombara Resort is on top of a hill overlooking the valley, it is an old farmhouse, fully renovated with a nice SPA area and beautiful rooms and restaurants. We “smuggled” our food to the room, looking forward to our dinner. But first, we enjoyed the SPA and some treatments. And later on, we had a fabolous 31st of December in-room Tête-à-Tête dinner! With the exception of the Prosecco, but that did not influence our good mood! The next morning, we woke up to a wonderful day, sunny, blue sky, crisp air! We started with a brunch, yes, here, they are on top of things regarding breakfast, offering a vast choice of salty and sweet treats! After breakfast, we decided to explore the valley and drove along the river to Bobbio, the main village in the valley. 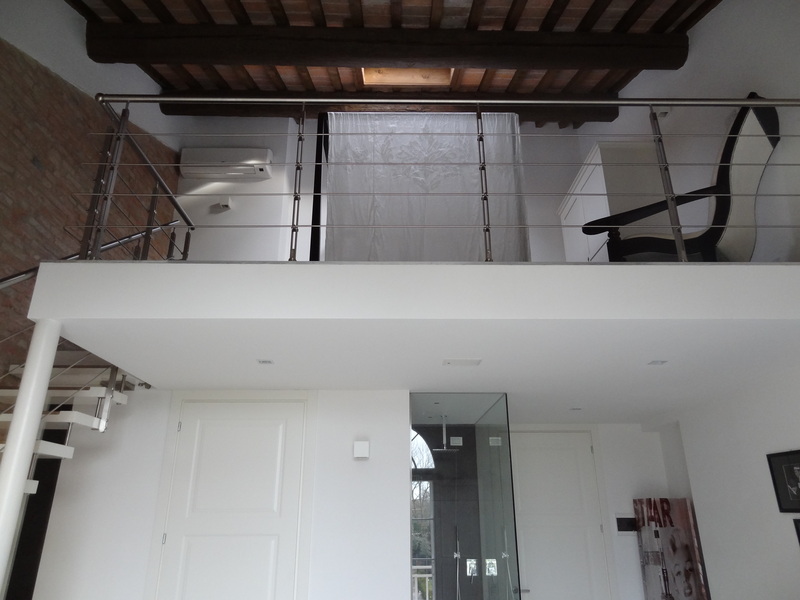 Another cute Centro Storico expected us! And many nice shops, too bad it was a Holiday and the shops were closed, else we would have bought some specialties you can only find there in the region, such as Il Prete (the priest) a kind of sausage that looks more like a priest’s hat and needs to be boiled in a pan without touching the pan, that is why it is squeezed into some kind of large wooden peg so you can hang it over the pan. Complicated, I know. But looks funny. But, these are dreams…we know that there is no more priest and we also know that there is a group trying to save the terrace. More information was impossible to get. 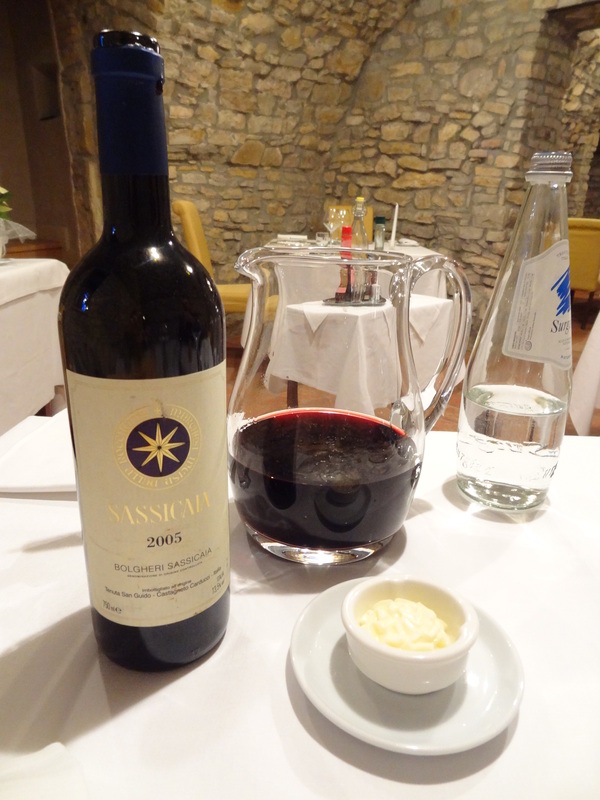 That evening, we had a very romantic dinner at the Relais, just the two of us in the cave, it was delicious and we enjoyed a really nice wine…from Tuscany! The next day we started our trip back in direction Switzerland . The trip took us along the rice fields of the Po lowlands, it is incredibly flat! We stopped in Vigevano, another city we had no idea what to expect. And, Mamma mia, this city is beautiful! We really were surprised and thought we should have stayed there for longer…well, next time! We found a nice shop selling fresh pasta, we got some Trofie, Ravioli and Gnocchi to take home. And they tasted yummy, our guests thought so too! Right, Ricardo & Dirk? 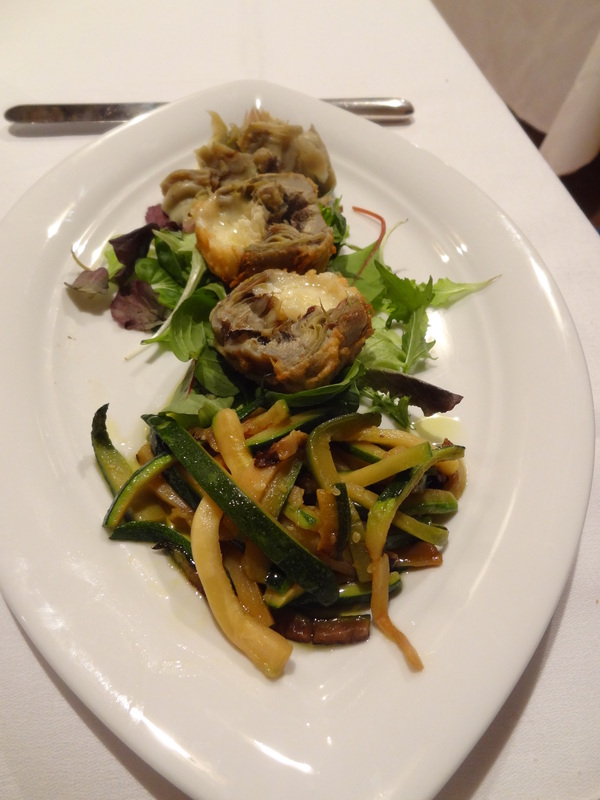 We went on to our destination of the day: Osteria della Pista. First however we stopped at Il Gigante to do one more last shopping tour, getting all those things a real italian household needs to survive! And we enjoyed one more nice dinner, in great company ( thanks James & Francesca), at the Osteria! I am sure, around Milano Malpensa there is no better Restaurant! Their food is outstanding, be it Pasta, Pizza, fish, seafood or meet, everything is cooked to perfection! The real simple way of great cuisine! We love to visit Celeste and his team and will go back soon for sure! The next day, it was time to drive back home….with a trunk full of goodies and with fond memories of another wonderful road trip through Italy! Thanks my love, for sharing these trips and being part of my life!